CIMS offers wide range of AOI solutions for multiple segments of PCB industry: MLB, HDI, FPC and IC Substrates. 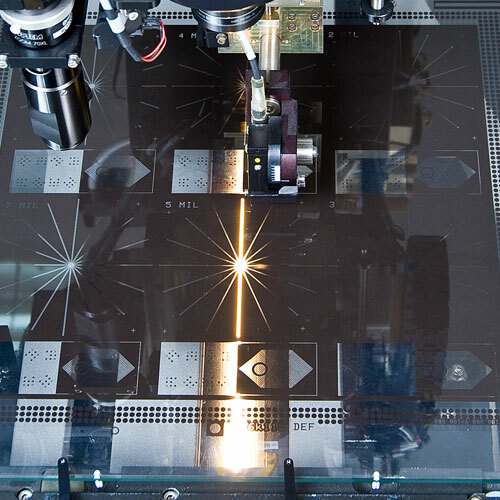 Automated optical inspection (AOI) is a crucial step for PCB manufacturers, during which inner and outer layers are carefully inspected to assure functionality and reliability resulting in high yield production. CIMS offers wide range of AOI systems for all segments of PCB industry – from IC Substrates and HDI, flex and rigid flex to mainstream multi-layer boards. CIMS AOIs are helping our customers to dramatically increase yield of PCB manufacturing process as well as improve quality of the final product. Automated visual/final inspection (AVI/AFI) is a process performed at the final stages of IC Substrate manufacturing ensuring defects-free product. 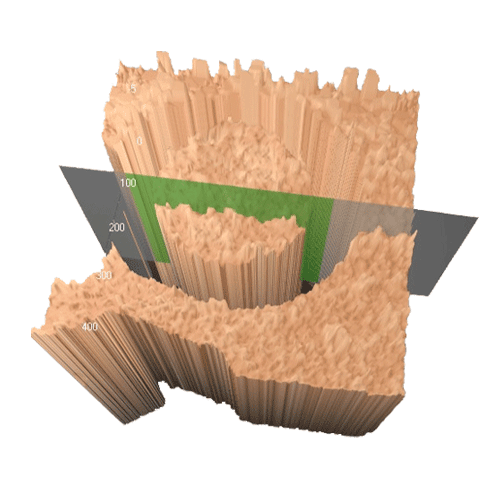 The dense structure of IC Substrates requires optical inspection at high resolutions and capable of detecting wide variety of surface defects. CIMS AVI solutions are designed to meet specific quality requirements of IC Substrates manufacturers. Final inspection with CIMS technology provides optimal detection capabilities coupled with minimal false calls and performed at high throughput. CIMS add-on options are designed to further enhance inspection capabilities of AOI and AVI systems. Those options can be integrated with CIMS equipment offering a new layer of quality assurance for our customers. CIMS add-on options include unique 2D and 3D metrology capabilities that can be integrated with AOI systems and allowing to perform advanced measurements during the normal inspection cycle. Other options enable integrating defects data collection, classification and reporting capabilities into verification stage of inspection process. HDI PCB are widely used in high end applications such as cellphones, tablets, computers and other devices that are typically characterized by space constraints. 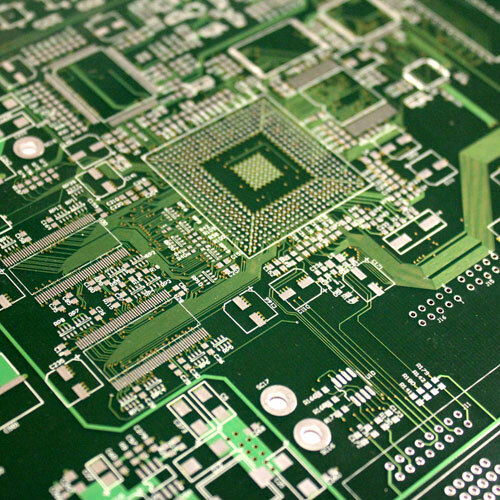 Moreover, production process of HDI PCB tends to be more complex compared to mainstream multi-layered boards (MLB). It also involves complex processes such as build-up and laser drill via which often require optical inspection of its own. CIMS is the leading inspection solutions supplier for HDI PCB manufacturers who produce boards for the top makers of high end electronic and communication devices. Our Phoenix series AOI systems are build with the most advanced optics, hardware and algorithms enabling unparalleled detection of the type of defects that often occur during HDI production. IC Substrate serves as a connector between IC chip and the PCB. It is, in effect, a highly miniaturized version of a printed circuit board itself. In other words, IC Substrates bridge the nano-scale world of a semiconductor device (IC) and the micron-scale of a PCB. Besides the mechanical support and protection for the chip, IC Substrates are also required for heat dissipation as well as signal and power distribution. CIMS offers series of AOI and AVI solutions for manufacturers producing wide variety of IC Substrates. 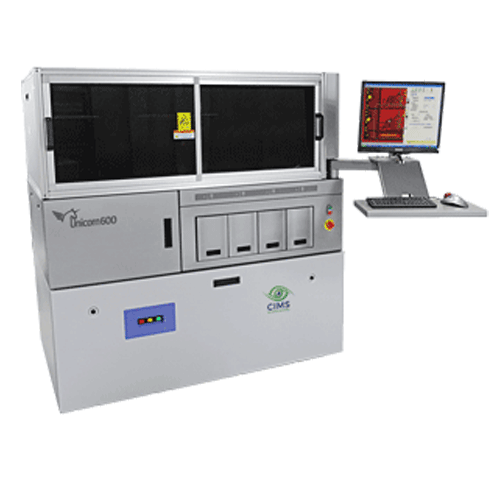 Our Phoenix AOI and Unicorn AVI systems are designed to inspect even the most advanced IC Substrate products with down to 5 micron line and space widths. Phoenix Nano, Micro and Maxima series can be further enhanced with additional metrology capabilities. 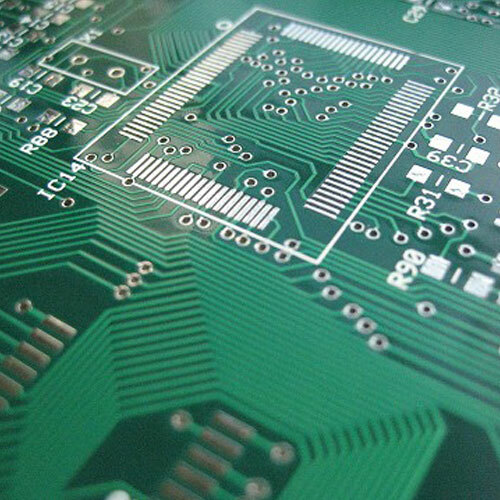 Multi-layer PCB is the most common type of printed circuit boards produced with two or more layers of circuit patterns stacked vertically, each separated by an insulating medium. The connectivity between the layers is typically achieved by drilling through the laminated board and copper plating the drilled holes. MLB PCB are widely used in all types of consumer and industrial electronics. They can range in complexity from fairly simple to highly advanced boards such as those used in automotive and server applications. CIMS supplies the range of cost effective solutions for this market that ensure fast and reliable inspection of all types of PCB materials and designs. Our systems can be used for inspection of bare copper, photo-resist, finished boards as well as photo-tools such as silver halide artworks and glass masks. Flex PCB (FPC) is a technology for assembling electronic circuits by mounting electronic devices on flexible plastic substrates. 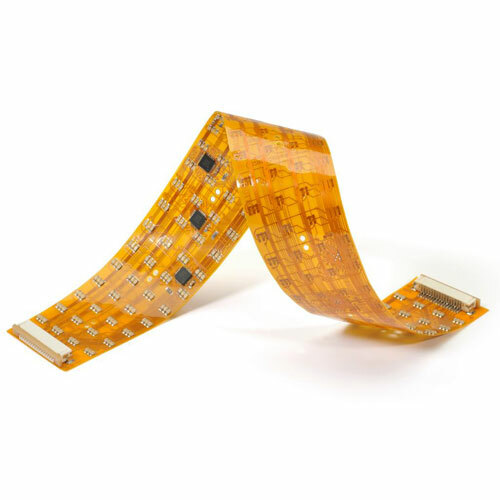 Flexible electronic assemblies may be manufactured using identical processes used for rigid printed circuit boards, allowing the board to conform to a desired shape, or to flex during its use. Rigid flex printed circuit boards use a combination of flexible and rigid board technologies in an application. 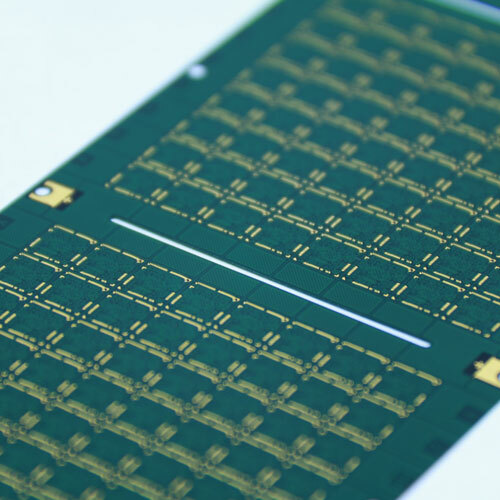 Our solutions for flex and rigid flex PCB inspection are based on advanced imaging technology developed for various types of HDI, IC Substrates and MLB. Since FPCs come in wide ranges of trace widths, CIMS offers a family of dedicated AOIs that can accommodate all this variety. In addition, we provide automated material handling solutions for roll-to-roll (R2R) types of FPC. Special applications cover various types of inspection and quality control measures that are not typically part of the conventional AOI cycle. One such example would be our custom made solution for laser via dimple inspection which combines CIMS 3D metrology capabilities with high resolution AOI system. CIMS advanced optical inspection technology is also applied to wide variety of applications including those outside the traditional PCB market. Inspection of touch screen is one of the areas where such technology is used by touch screen manufacturers looking to increase yield, reduce manual visual inspection operations as well as improve the quality of the final product. 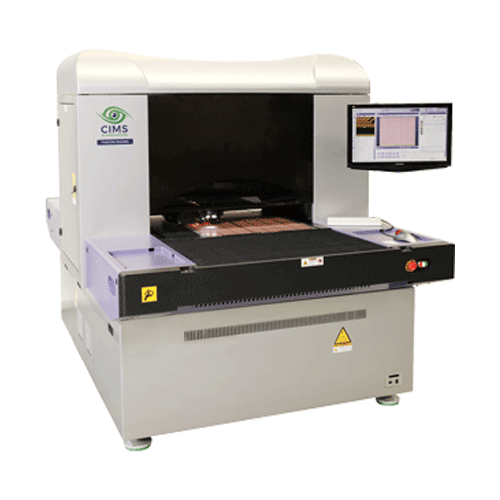 CIMS provides automated optical inspection solutions dedicated to enhancing production processes and yield in Printed Circuit Board (PCB), High Density Interconnect PCB (HDI PCB), Flex and Rigid-flex PCB and IC Substrates. CIMS addresses specific needs of all segments of PCB manufacturing industry with dedicated solutions based on advanced imaging and image processing technologies. CIMS solutions are applied to wide range of applications across those segments at multiple stages of PCB manufacturing process. 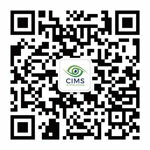 CIMS China, formerly known as Camtek Imaging Technology (Suzhou) or CIT, was established in 2005 as a manufacturing arm of Camtek Ltd., the world leading maker of inspection solutions for PCB and Semiconductor industries . Since 2011, the company also served as a PCB Division headquarters of Camtek and has also established a local R&D center around that time. In October 2017, as a result of Camtek PCB division spin off, CIMS China has become a fully independent company overseeing CIMS global activities.